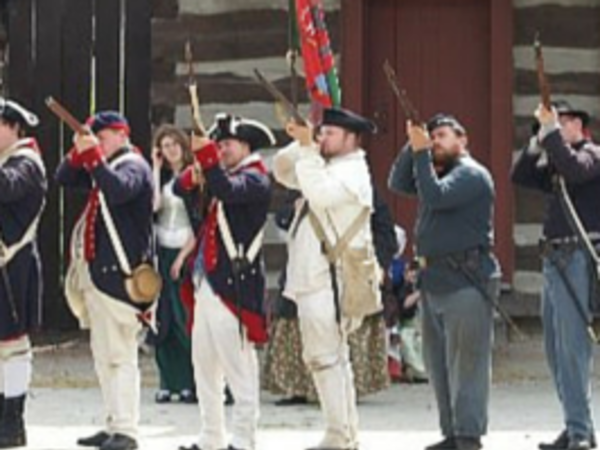 Old Fort Wayne – Learn History In Person! Posted on June 08, 2015 at 3:01:00 am by Louisa D.
Weathered wood walls, lush green grass, and old cannons - this is the essence of Old Fort Wayne, the historical interpretation center located at 1201 Spy Run Avenue and operated by Historic Fort Wayne, Inc. This fort, which is a reconstruction of the 1815-16 model, is usually a quiet place. But on certain weekends - especially in the summertime - the fort becomes a heart of early American activity. Just remember to bring plenty of drinking water and sunscreen! There are no modern amenities available to the public once you&apos;re inside the Fort walls, but there are public restrooms and a Modern Building, where a bake sale is usually held. Parking is available either in Lawton Park, or at the lot across the street from the Fort - a pedestrian underpass is available, so you don&apos;t have to dodge traffic. No admission is charged to any of these events. (Donations are accepted.) All events take place on a Saturday and Sunday, opening at 10 a.m. and closing at 6 p.m. (Saturday) or 4 p.m. (Sunday). 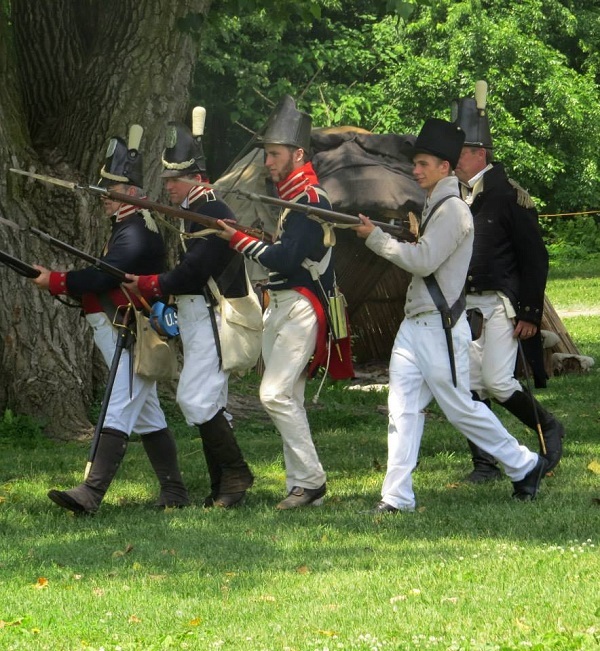 This summer, the first major event will be the Siege of Fort Wayne 1812, Saturday, June 13 and Sunday, June 14. Based on a real part of Fort Wayne&apos;s past, this demonstration will include historical re-enactors from the War of 1812, civilians, and mounted militia interpreters. Back in 1812, the Siege was lifted in September when Fort Wayne was relieved by General William Henry Harrison, who came with 2,500 troops. 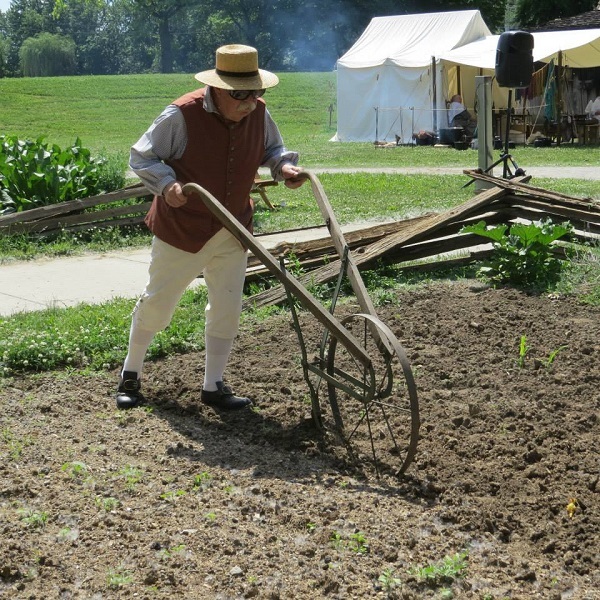 Today, the Siege of Fort Wayne will probably not have 2,500 soldiers - but it will provide a fascinating glimpse of life from the early nineteenth century. Next is the Camp Allen Muster, 1861 - 1865, June 27 and 28. This is an American Civil War re-enactment. Men in blue and gray, women in hoop skirts, and children dressed in a variety of historical costumes will be gathered at the fort to re-live the times of Abraham Lincoln. If you&apos;ve ever heard the old cannons blast across the river during the Johnny Appleseed Festival, they make just as much noise when aimed over the river bank here at the Fort. While the June sun may be hot, the colorful costumes are always fascinating to see, and different cooking techniques are something culinary artists are always happy to discuss. What more could go with July than a refresher course on the Revolutionary War? 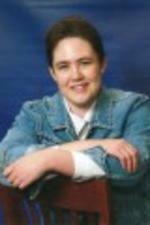 The Revolutionary War - the Western Front is on July 11 and 12. 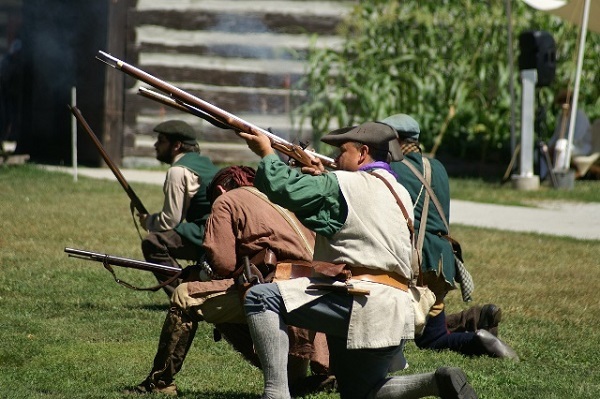 Three-cornered hats, mob caps and all things red, white and blue will be there as the re-enactors at the fort demonstrate the lifestyle of the American Continental Army during the fight of &apos;76. And, yes, Indiana did have a role in the fight for Independence, such as the military actions of George Rogers Clark back in 1779. August 29 and 30 will be the time when Post Miamies comes to life. Before there was Fort Wayne, there was Fort Miami (or Miamis, as it is sometimes written). This territory was held by the French until 1760, when British troops took control of the region. There were also a fair number of American Indian groups in here, including the Miami. During the Post Miamies demonstration weekend, the Old Fort will be home to French Marines, British Rangers and American Indian traders. Be prepared to see roaches (feathered head gear worn by many woodlands native groups), moccasins, and French éclat as the historic Fort Wayne has an ancestral visit of its own! For more information on the Fort, or to find tickets for tours offered during some of the events, click here for the Old Fort&apos;s site. Special weekends at the fort are usually indoor/outdoor events. 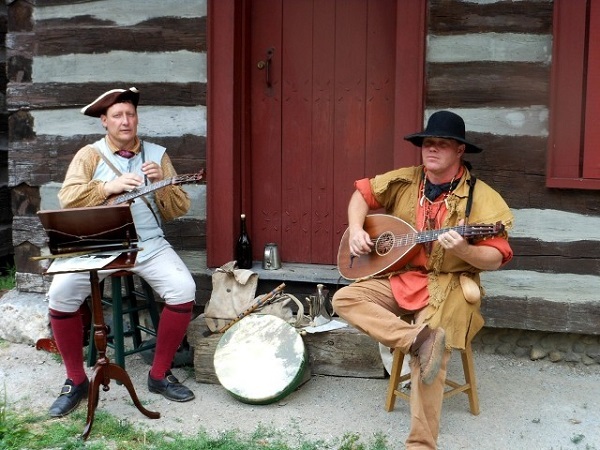 Re-enactors sometimes use the individual living quarters in the fort&apos;s walls to demonstrate music, crafting, cooking and more. 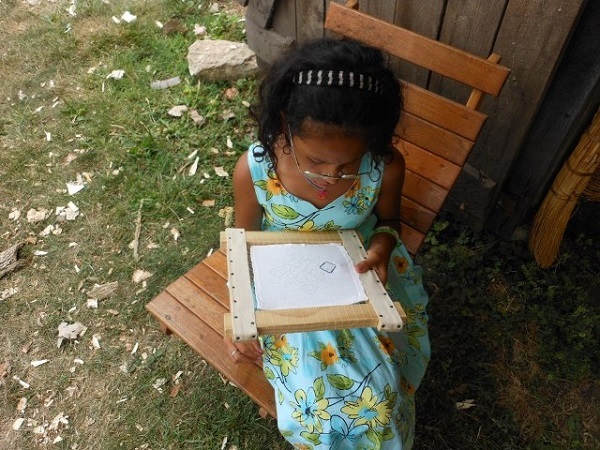 Visitors can sit down and rest for a few moments, or really get interested by a certain art. Remember to always ask questions - you never know what you&apos;ll learn by taking a trip to the past. And if you feel like digging into more of Fort Wayne&apos;s past, military or otherwise, check out the book, History of Fort Wayne and Allen County, 1700 - 2005 - it&apos;s a fascinating read!